The ability to make something appear and disappear at will is one of the classic motifs of magic. One way that magicians perform this effect is through the use of cards. There are many ways to make a card appear to vanish, but the most common method is the back palm. The back palm is a sleight which allows a magician to conceal one or more cards behind his hand and produce them at will. Take one card from the deck. Hold it near the bottom with your ring and middle finger on one side and your thumb on the other. Bend your ring and middle fingers towards the center of your hand, so that the first phalanx of each finger is flat up against the back of the card. Curl your index finger around the lower corner of the card. Curl your little finger around the opposite corner. Close your fingers into a fist. Release your thumb and leave it open. One corner of the card should be held between the index finger and the middle finger. The other corner should be held between the ring finger and little finger. The ring and middle fingers should be covered by the card, and the index and little fingers should be on the outside of the card. Flatten your fingers out completely, leaving them closed together. The card should be flat up against the back of your hand, held at the corners by the index and little fingers. That is the back palm position. With the card held in the back palm position, curl the fingers back in towards the palm, bringing the card into view again. Grip the card with the thumb. At the same time, curl the middle and ring fingers up so that the finger tips contact the back of the card. Grip the card between the thumb and middle and ring fingers. Release the index and little finger, and spread them out. This is the starting position. From here you can back palm the card again, or drop it and prepare to produce another card. Hold several cards in the back palm position, with your open hand facing the audience. Using your thumb, contact the corner held between the middle and index fingers. Slide your thumb under your index finger and place it on the corner of the top card. Slide this card towards the face of the palm until the corner that is held between the ring and little fingers comes lose. Open the index finger slightly to allow the card to be dragged completely into view. Hold the card against the fingers with the thumb to display it to the audience. 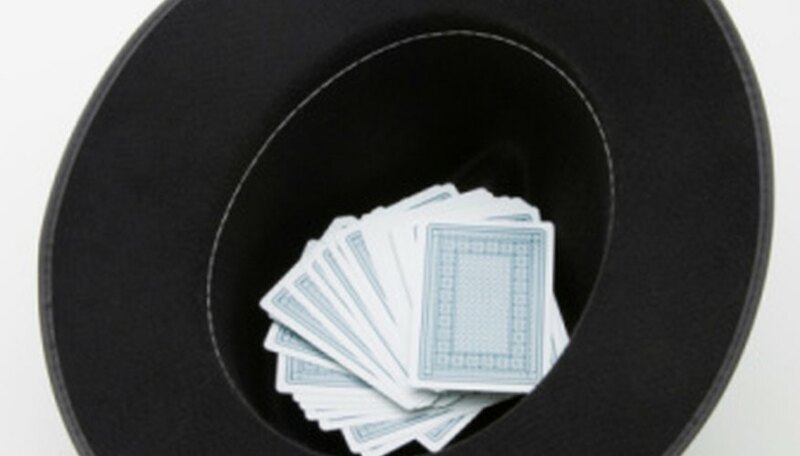 Drop the card onto the floor or into a hat and prepare to produce the next card. Once you are comfortable back-palming one card, you can practice with more cards. Professional magicians can back palm up to 40 or more cards! Use old or worn out cards when first practicing. They are easier to bend and will require less finger strength to back palm. Always take breaks when necessary to allow your hands time to rest. The back palm is a difficult sleight and will require lots of practice before your finger strength is sufficient to perform it properly. This sleight will bend your cards. Do not use a deck of cards that you intend to keep in playing condition.